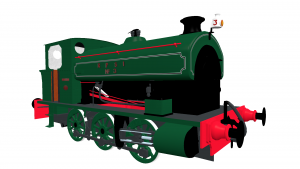 museum planned at the RPSI (Railway Preservation Society of Ireland) in Whitehead, Northern Ireland. We have had the pleasure of working with the team at Whitehead on two previous occasions and look forward to renewing this relationship. For this project CMC have been commissioned to assist with the RPSI to organise and install a suite of multimedia and interactive devices through out the newly outfitted museum. Unlike traditional museum interactives, the RPSI installation will offer a much more ‘hands-on’ environment for staff and volunteers to engage with their visitors. This reflects the active nature of the RPSI and the dynamic installations at the museum. Apart from the installation of the multimedia, planned for the museum’s Winter opening, CMC will offer staff at the site support and training through out 2017, advising on both the technical operations of the software and the interpretation strategies of public engagement.